Christina, Your work catches my eye every time! So nice! Congratulations Christina, your work is Featured in "A Birding Group - Wings"! 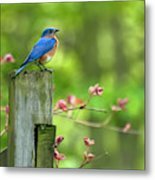 Congratulations on being featured in the Fine Art America Group "Artists for Nature. Congratulations on your first place win in the Bluebird Contest! Thank you so much Christy! Great capture & lovely colors! Lovely colors and composition make this very interesting. Thank you so much Haleh! 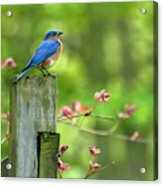 Eastern Bluebird by Christina Rollo. 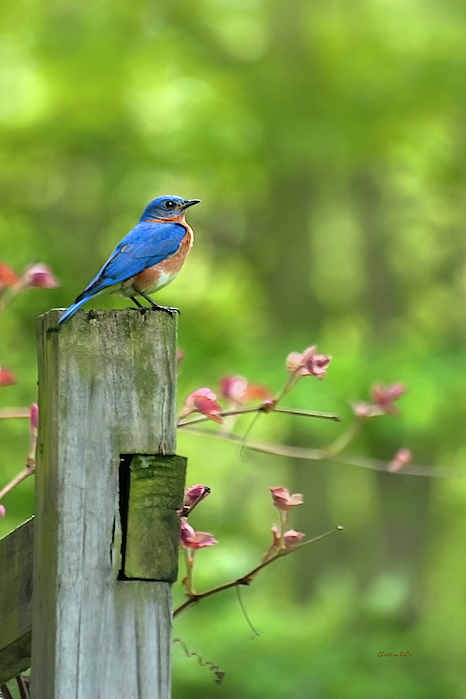 The Eastern Bluebird loves to perch on tree branches and wires observing insect prey. An eastern bluebird will swoop down and catch a flying insect or go down to the ground to feed on a grasshopper, cricket or other insect. 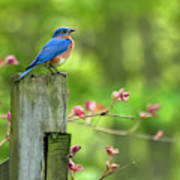 The Eastern Bluebird is the state bird of Missouri and New York in the USA. Buy more bird prints from my entire collection of fine art at www.rollosphotos.com. Twitter: ChristinaRollo Instagram: christina.rollo Christina Rollo is a New York based nature photographer who seeks captivating moments. Her passion for animals has led her to take many photos of colorful hummingbirds, birds, animals, nature and landscapes. Her fine art collection includes museum quality photo prints, canvas, acrylic, metal, framed art, greeting cards and more. Shop fine art online for home or business, bring a little outdoors in!